The one and only time he failed to perform his rajdharma was in 2002. Note: This article was first published on August 17, 2018 and is being republished on December 25, 2018, the 94th birth anniversary of Atal Bihari Vajpayee. Perhaps one way to appreciate what Atal Bihari Vajpayee was all about is to recall that as long as he could help it, he saw to it that Subramanian Swamy did not get the time of the day in the BJP. During Vajpayee’s prime ministerial years, Swamy was reduced to a non-person in BJP affairs. Not that Vajpayee was unaware of Swamy’s brilliance or talent; it is just that he thoroughly disapproved of the man’s penchant for using law, courts and governmental authority to harass and humiliate political rivals. 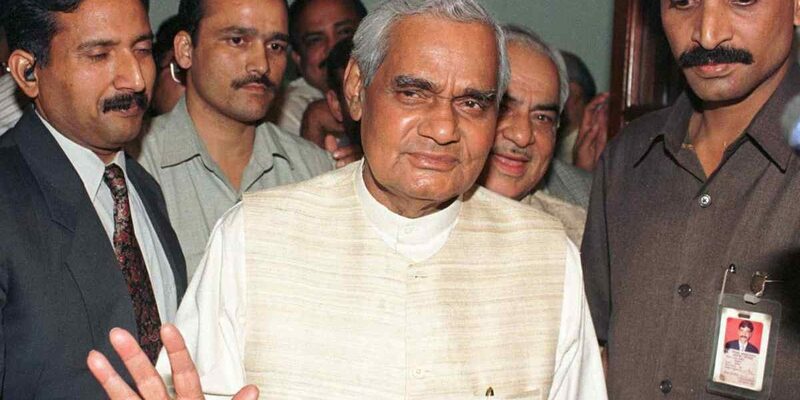 For Vajpayee believed that political opponents had to be engaged and combated politically, ideologically, electorally; there would no personal animus. Pettiness and malice were not his strong suits. This aversion to bitterness and vindictiveness was central to Vajpayee’s appeal. The first time I got a glimpse of his gentleness was at a Rashtrapati Bhavan banquet, sometime towards the end of 1997. He was still the Leader of Opposition. That morning, I had done a story in The Hindu which was somewhat uncomplimentary to him. Perhaps it was also unfair to him. I remember him gently tapping me on the shoulder and politely chiding me for getting my facts all wrong. Interestingly enough, the story was without a personal by-line; it was simply by a “special correspondent.” When I tried to pretend , somewhat disingenuously , that perhaps I was not the author of the story, he gave his charmingly disarming smile and with a twinkle in his eye, said: “Your sources could be wrong, not mine.” I fumbled with some kind of a face-saving repartee, but it did not come off. In that moment he made me realize the professional mistake of sourcing a story entirely from sources not so well disposed towards him. That was a cautious beginning of what would be a professionally useful relationship. Since he lived for more than five decades in Delhi, he had had at least a nodding acquaintance with almost every senior journalist in town; with many, he had a relationship of trust and confidence. Those five decades were mixed years and did not always see him engage with political nobility; after all he was associated with a political party that was no stranger to political malice and organisational ugliness. He positioned himself as the odd man out; and, most of the columnists, editors and reporters were prepared to buy into the “reluctant swayamsevak” conceit. He needed the media to survive in the “wrong party” and the media needed him to stay put and cure the Jan Sangh/BJP of its visceral proclivities. It is a familiar truism that a prime minister’s personality ends up influencing the PMO and its temperament. Inevitably Vajpayee’s personality – his affability, a robust fortitude, a nationalist’s rectitude, a disdain for humbug and bogusness, and a code of personal decency – came to define the Vajpayee PMO. It was an open, confident, self-assured, and mostly welcoming PMO, presided over by an extremely amiable Brajesh Mishra. Vajpayee was a politician who understood the necessity of a free press as an institution and of critical and questioning journalists as necessary accoutrements of a democratic arrangement. Nor did he believe that the weight of his office had to be brought to bear against unfriendly voices in the media. He simply did not entertain suggestions from his angry ministerial colleagues or miffed PMO officials to blackball someone or show a reporter her place. I know at least on two occasions as a reporter I had offended the NDA power-brokers but the PMO would not countenance any thought of ‘fixing” me or The Hindu. This perhaps had to do with his approach to public office. As a Nehruvian politician, he acknowledged the limits and responsibilities of power; hence, the quest for moderation. Hence the determination not to let the fringe and the frantic overwhelm the centre. Hence the commitment to pursue a notion of rajdharma. The one and only time he failed to perform his rajdharma was in 2002. Every tenet of rajdharma demanded that Prime Minister Vajpayee should have sent chief minister Narendra Modi packing after the massacre of Muslims in Gujarat in March 2002. All that Prime Minister Vajpayee could do was to advise the chief minister to perform his rajdharma. When the prime ministerial advice was spurned and Vajpayee could not ensure that the sanctity of the norm was preserved, the people of India exercised their dharma in the 2004 Lok Sabha elections. 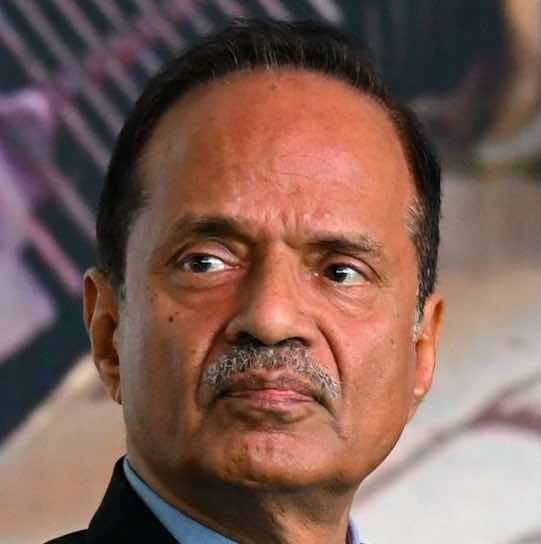 Harish Khare was The Hindu‘s chief of bureau till 2009. He was most recently editor-in-chief of The Tribune.